Making its home in South Asia, mostly in the forests of the Himalayas, the Red Panda is an omnivore that is slightly larger than a house cat and has reddish-brown fur. Also known as the Firefox, it is the only species of its kind (genus Ailurus) and is considered a living fossil. 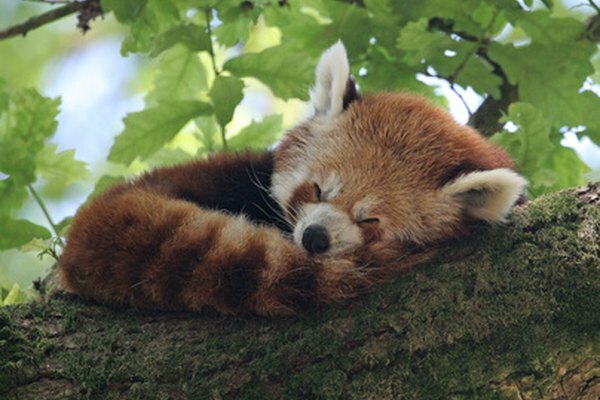 Although part of Earth's biodiversity, the Red Panda population is threatened by deforestation. 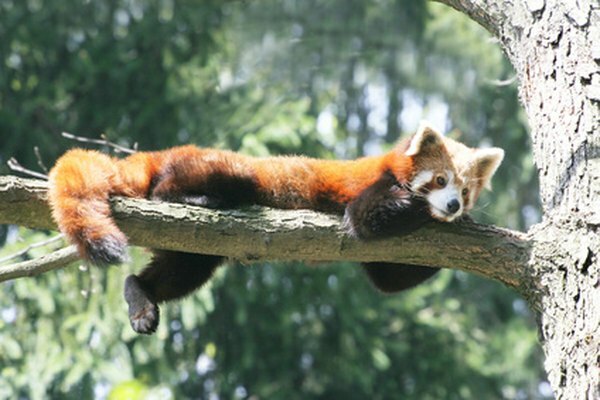 The Red Panda's life cycle is usually eight to 10 years. Red Pandas are solitary and typically interact only during mating season. They mate between January and March with more than one partner. The female collects brush and leaves a few days before giving birth to function as a nest. After 112 to 158 days of gestation, the female give birth to one to four cubs. Each cub's weight ranges from 3.9 to 4.6 oz. A Red Panda mother spends 60 to 90 percent of her time caring for her cubs during their first week with tasks such as feeding and grooming. She can recognize each cub by his scent, and she frequently moves the cubs among several nests. At about 18 days, the cubs can open their eyes. The mother spends less time in the nest then and tends to the cubs only every few hours. By 90 days of age, the cubs achieve adult coloring and fur and begin to venture out of the nest and to eat solid food. They are fully weaned at 6 to 8 months old but stay with their mother until her next litter is born. 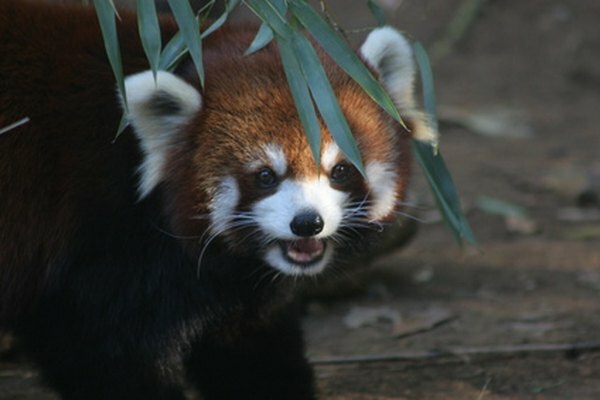 Red Pandas are able to reproduce at 18 months old and are fully mature at 2 to 3 years old. They have a slow rate of reproduction and a great deal of difficulty recovering from population declines. The males rarely help raise the young. The average lifespan of a Red Panda is eight to 10 years, but Red Pandas have reached 15 years of age. Red Pandas typically live alone but have been known to form small family groups. They are territorial, creating home ranges of one to two square miles. Nocturnal, they usually sleep in trees during the day and hunt at night. They are omnivores, mainly eating bamboo. They also eat fruit, grasses, mushrooms, eggs, insects, birds and fish. They make dens in rock or hollowed trees and use their tails for climbing. The Red Panda is classified as vulnerable in the International Union for Conservation of Nature and Natural Resources' Red List of Threatened Species. It also is in the Convention on International Trade in Endangered Species of Wild Fauna and Flora's Appendix 1, which lists animals that are most endangered. The species is considered endangered in China, too, and protected in Nepal, with its population on the decline. 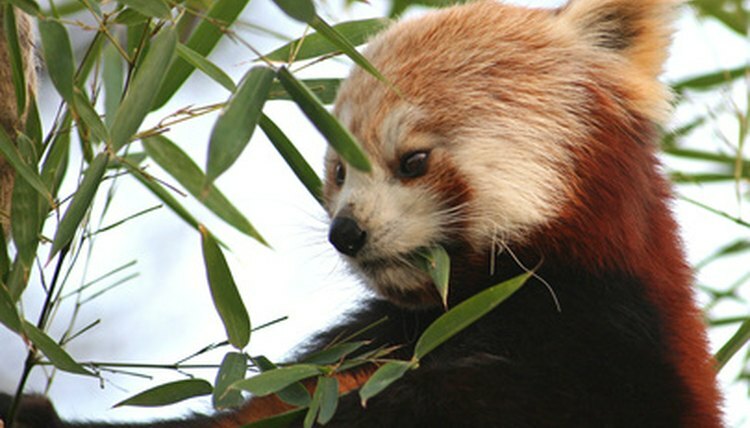 Protecting the Red Panda goes hand in hand with protecting its habitat. The animal's decrease in population is tied with habitat destruction of the South Asian forests, which provide clean air and water to 1 billion people. Based in northwest Arkansas, Drew Swyers has been writing since 2006. He has publications in the Amarillo Globe-News, Three-Fold Advocate, and the Sojourn. In 2009, Swyers published his first children's book "Forest Friends," which he wrote and illustrated. He received his Bachelor of Science in international business from John Brown University.